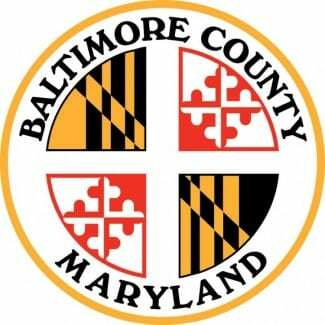 Baltimore County Councilman David Marks on Thursday announced Governor Larry Hogan’s appointment of Perry Hall resident Julie Henn to the Baltimore County Board of Education. Julie Henn is currently serving as Chair of the Northeast Area Education Advisory Council of Baltimore County. Professionally, Julie is the Chief Information Officer and Director of Technology for QM Quality Matters, a global non-profit organization dedicated to quality assurance in online education. Julie received an Executive MBA from Loyola University in Maryland and a bachelors degree in Communications from Marquette University. She is the proud parent of two children – one previously enrolled, and one currently enrolled in Baltimore County Public Schools. “Having a Perry Hall Middle School parent, who is both an active PTSA member and an advocate for our community appointed to Baltimore County’s Board of Education is a good thing. It gives Perry Hall residents a stronger voice on the board and another empathetic ear for issues that matter to our parents. While BCPS has been responsive to the immediate concerns of our PTSA, there is still much to be done. Julie’s appointment is a good step toward making sure Perry Hall parents’ long-term issues get the attention they need and deserve,” said Christine Hagan, Perry Hall Middle School PTSA President. “I am very excited to hear that Julie Henn has been appointed to the Baltimore County Board of Education,” said Amy Mitcherling, Perry Hall Middle School PTSA Vice President. “Julie has a vested interest in the area she represents, and is a strong voice for the needs of our community. As head of the NEAEAC, she has always made herself available to parents to help with issues they are encountering. I have complete faith that as a member of the Board of Education, she will be able to examine issues and make decisions based on what is in the best interest of the students.” said Mitcherling. The appointment will take effect in December, according to Councilman Marks.